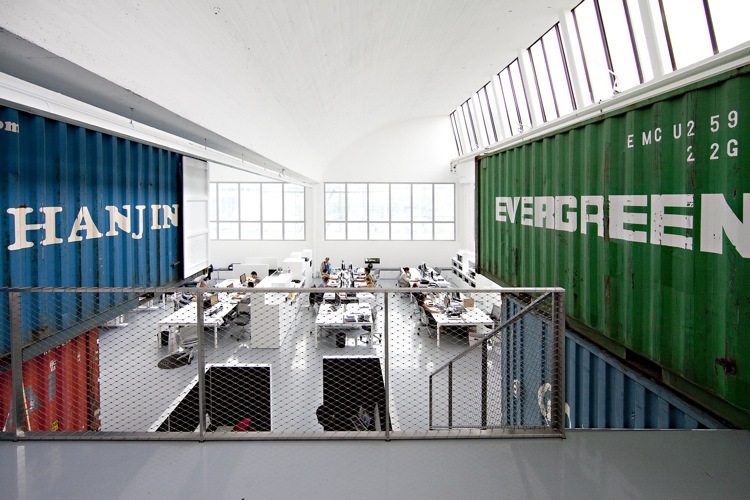 The Swiss architecture firm Group8 has managed to marry two of the biggest cliches in contemporary architecture — shipping containers and stark white offices — to produce something entirely unique. 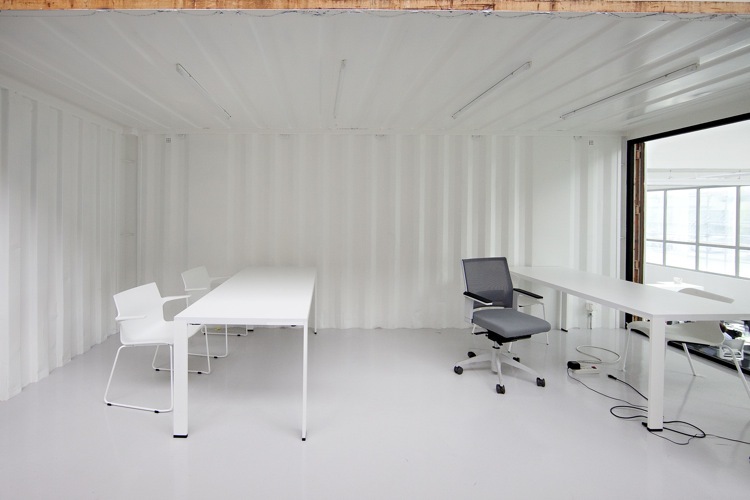 The project is a new workplace for Group8 in Geneva, and the architects’ sleight of hand was to load up a massive open floorplan with more than a dozen steel containers, rust, grime and all. Here’s the interior of one of the containers. Mostly, they’re used for conferencing and brainstorming. 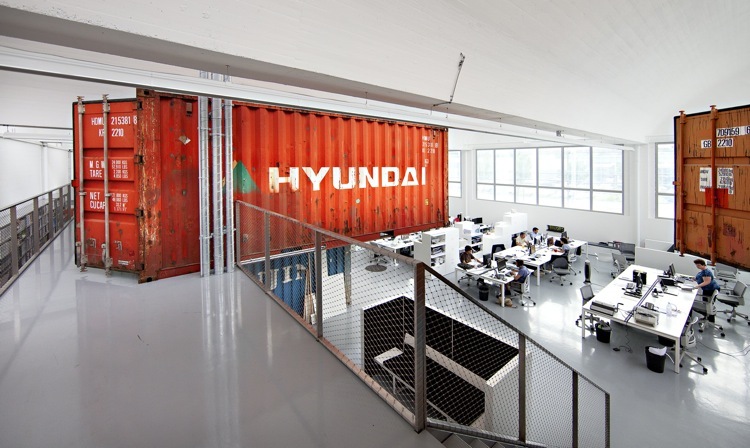 The office is called Cargo (of course). Group8 worked with the furniture manufacturer Dynamobel. We’re sold on pure aesthetic grounds. The containers add lots of colorful volume to what would otherwise be a tough space to fill in a cost effective way (The ceilings are 30 feet tall!). 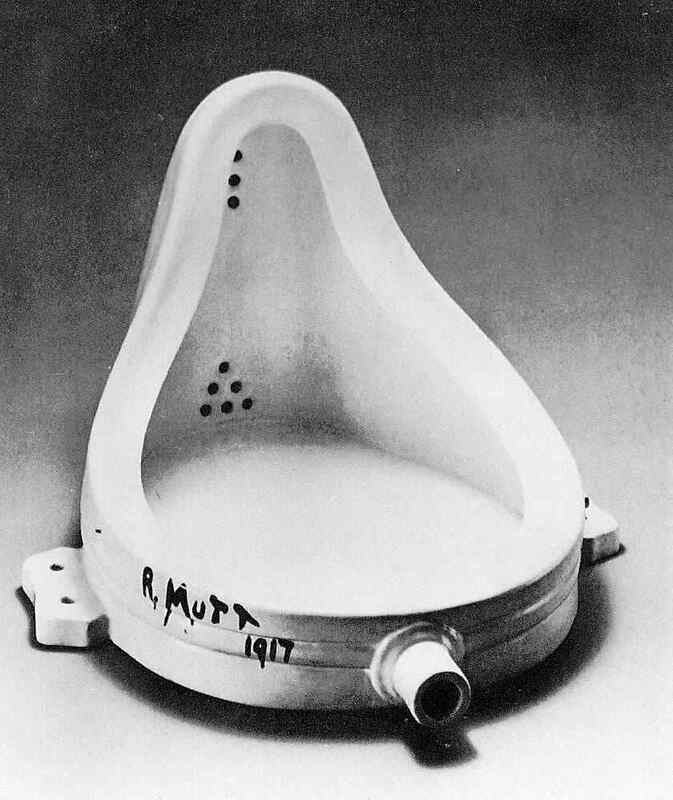 Plus, set against all that white they look so wrong, but in a good way — like an upside-down urinal in an art museum. We also love the idea Group8’s toying with here. 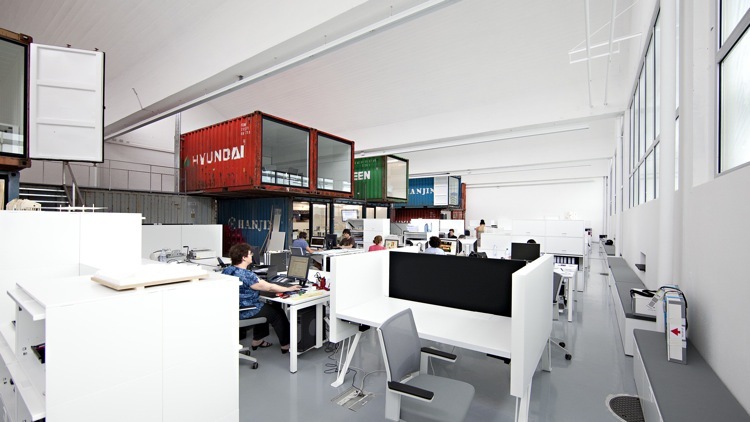 Shipping containers found favor among architects about a decade ago, their corrugated grittiness a pitch-perfect rebuke to the sterility of modernism, as we’ve detailed before. Here, the grittiness and the sterility happily coexist. We can’t imagine anyone pulling that off other than Swiss architects. Theirs is a nation where tidiness and filth often walk hand in hand.